Got a PX125, spent sh** loads of money on it over the 2 weeks to upgrade some parts. 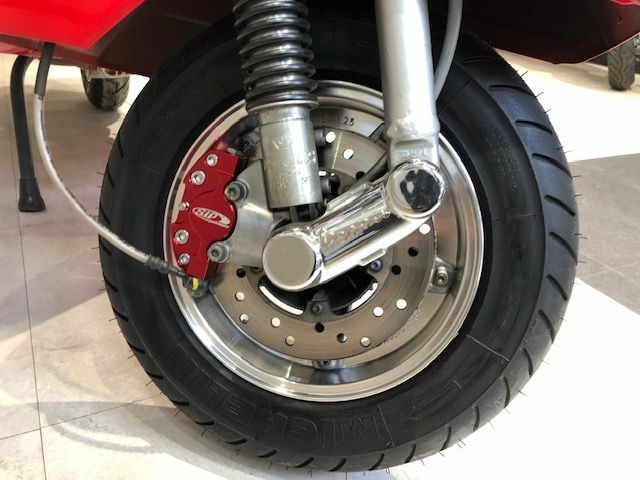 SIP chrome rims, Michelin sport tires, SIP caliper, Zeus CDI limiter and Malossi 166 bore kit. I dont know much about engine and the shop here in Tokyo said no carb needs to be changed, all they did was swap the cylinder head and made a small hole in the air filter area. Not sure what jetting they set it but they claimed that Malossi is too racey for the streets. So, they tuned it down to make it easier to ride. Since they said they have worked on these bikes for over 30yrs, they didnt run any test run. I thought the Malossi is well-known to last? Anyway, bike is back in running after they oiled it with ZOIL synthetic. However, it occasionally stalled during start up.....compression rate? idling too low? Anyone have ideas/suggestions? you went from a 125 cc to a 166cc and kept the same carb and jetting. of course its going to seize. bigger piston needs more fuel, fuel is lubrication. lack of lubrication= seize. oh there is nothing wrong with the malosi products when they are set up and properly installed. Thanks guys for some of your input. I believe they said they change the jet, not sure which jet...but when I asked about the carb, they said there is no need to change the carb size as its a newer Euro 3 version. I seriously have no clue. But the bare minimum I would think is for a paying customer, I would at least to have the mechanic do a few test runs before they hand me the bike. I would take the loss and have the original cylinder and jets re-installed. That shop won't be able to get it right. How do you know how fast it would go with the new top end the first time you rode it? Two stroke top ends need to be broken in for 4-5 hours before you play Speedracer, and if the first thing you did was try to see how fast it would go, that can damage it too, especially if they didn't chamfer the ports. It sounds like the bike soft siezed. Getting one of these things right is hard if you don't know how to check the plug and rejet as necessary. The hole in the airbox would concern me, because these things are sensitive to too much air, and that can make it seize. .As long as they used the jets that came with the kit, and the carb is stock, it should have been good for riding around town. Not perfect, but not set up to grenade either. 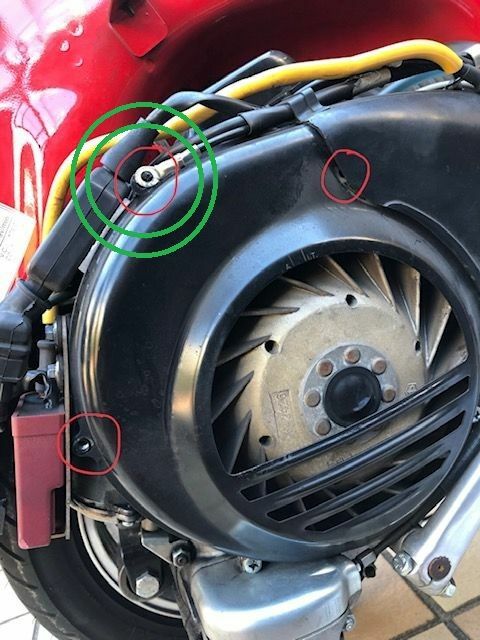 It would be good to verify which jets they put in the carb and try it with no additional hole in the air filter cover. From the cylinder photo, it looks like you had a four-corner seizure (vertical lines following the cylinder studs). Main causes are lean jetting, too quick warm-up or a very hot spark plug. 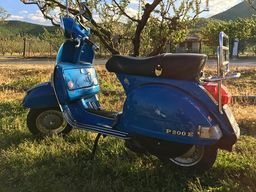 Do they have any experience with 2 stroke vespas and especially how to tune them?? P.S. Maybe this should be moved to the NSM forum?? I feel so relief to get some inputs back. Especially when all the Vespa friends I know ride 4 stroke and I'm the only one insist on getting this 2 stroke. Since I bought the kit & it's running now (not set properly though) I don't think I'm going back to the stock 125cc. SaFiS: You're dead on about the four-corner seizure. When I could smell gasoline at every traffic light, is that a sign of too lean? How do I move this to the NSM forum? 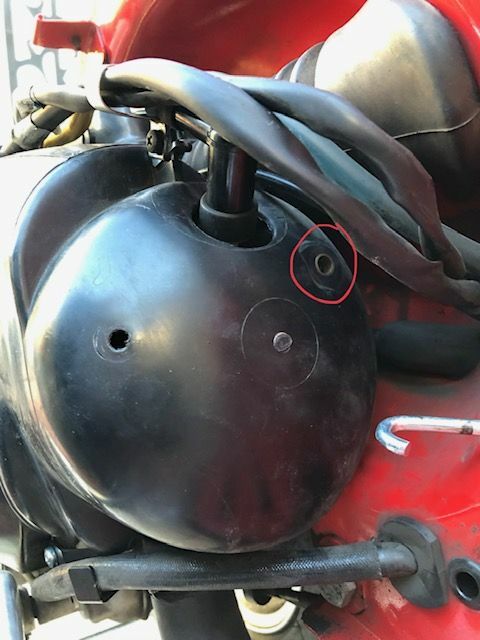 Motovista: the bike did have a "soft" siezed. At first, I didn't know what happened, so I let it cool down and kick start it again. It ran for a block and died again. So, I figured I'd have to walk it. The hole in the airbox, according to the staff is very tiny. Personally, I havent gone looking for it yet. They used the jets that came with the kit, carb is stock, & they claimed that is all I need for riding around town. 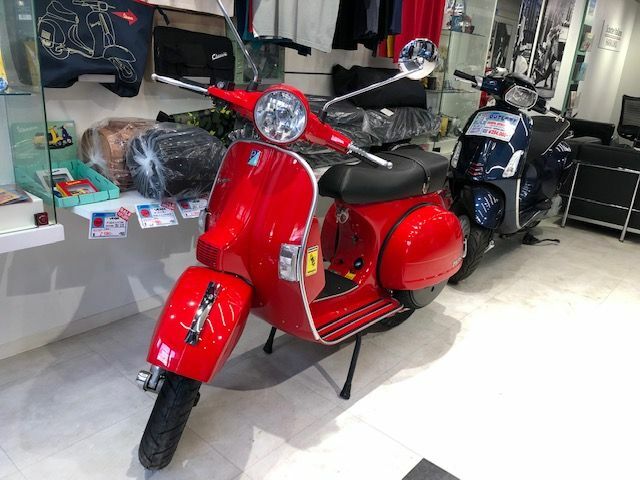 Currently, I'm considering taking this bike to other Vespa dealer to have them check for the correct setting and perhaps get a bigger carb. Although I'm not sure if I want to spend more money on a work-commute bike that is less than 30mins one way. You have begun a long path of learning about two stroke engine tuning. Usually, 3-5 heat cycles and light throttle application for a few hours of initial riding will break in the ring and piston. The engine sounds like it's "fat" at idle and leans out at high speed. There is a misnomer that when you increase the displacement of an engine that you need to upjet as well. Due to the much stronger intake pulse, the original jet will deliver a larger volume of fuel. I'm sure this is going to create pushback from the group here, so be it. There is carb tuning information on the web. Read as much as you can and then approach the job with patience. I know Japanese carb tuning well. The carb on your scoot' will need a similar physics approach and a different mechanical approach. 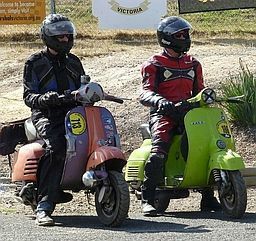 You would do well to get to know other people who ride manual transmission Vespas. The stock carb will do fine with the Malossi kit, but you most definitely have to upjet. Ask the shop what the jetting is and let us know. If it doesn't need bigger jets, why are they sent with the kit?? As I stated, I don't know this carb'. Looks like no great damage done. The smell of gasoline at tick over is because the mixture screw at the back of the carb is undone too far. There are plenty of threads on here for how to adjust it. You might need to learn a little about jetting to keep the Malossi running. Welcome to the forum. That is a great looking PX. Good luck sorting out the issues. When you do can you document your working setup please. def learn a bit about jetting. Agree re find someone else who knows what they are doing to learn from. I would be annoyed with the workshop who did it for you. Like you said, you paid them, and they should have tested / put it through a few heat cycles and done some due dilligence. Then they should have had a chat to you about what to expect before you blasted off. They cant really guarantee ( for race use only) but they should do their best to help you know what youre getting into. Check your jets. Get someone to show you how or find on here. Its easy. Also check your plug. The shop may have left a way too hot one in there for the kit. Also, the base of the plug will tell you if the jets are about right. I can't see what difference it would make if the workshop people had have given it a test run. They certainly would not have thrashed it like that... may have picked up on the fuel leak but that in itself is unlikely to have contributed. Any motor needs to be run in before seeing how fast it will go, and a new 2 stroke upgrade Vespa kit doubly so! A small amount of research would have given you that information. I feel that if the workshop was negligent, it was in not giving you explicit running in instructions. Motovista: I called to verify which jet they changed...and it made me quite pissed. They didnt change any 3. Main jet, throttle jet and the other (I forgot) is stock. This man told me nothing requires to be changed to ride around the city. Even for a newbie-engine like myself, I would have thought upjetting would be a bare minimum. johnymoore: I dont quite understand what you mean by work setup? Basically I dropped some money, ask them change this and that which was listed on my first post. I do agree with what Ginch said, partly it was my fault for performing speed racer thru traffic. So when I walked 4hrs pushing it back to the store, I apologized to them. I guess they also felt bad, so they didn't charge me anything for synthetic oil to "un-seized" the engine. BUT this whole discussion running back on stock carb, jets, just drill a tiny hole on the airbox makes me wonder if they are doing anything right. Since my last post, my PX had stalled 2 times. The last time it didn't want to start at all, so I checked the plug & was covered in oil? fuel? Anyway, I cleaned, installed it back and ran it for 2 days (50km) I took it out and took a picture yesterday. Oh and this morning it stalled again when I was warming it up for a minute or two. You can hear the plug just soaked and he said I dont need to warm up any 2 stroke engines. 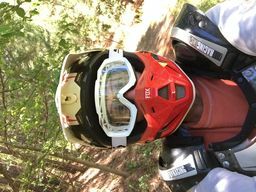 Just start, listen to the idle to calm and ride....is that true? I thought you need to warm up everything?!! Even my wife needs warm-up!! 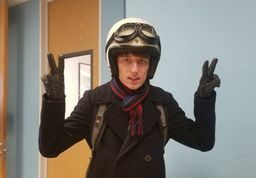 Hey Nicky - Welcome to the forum, and nice ride! I look at it this way. Going from 125cc to 166cc and better exhaust is going to need more air and fuel, because its going to burn more air and fuel, and output more exhaust. Input-Process-Output. They all work together. So for the Input (carb) and the Process (combustion chamber & spark plug) you have control over. The trick is to set up the idle jet and the main jet stack to allow the optimal air and fuel into the combustion chamber. If you can pull the spark plug, you can check out the jets you're running. 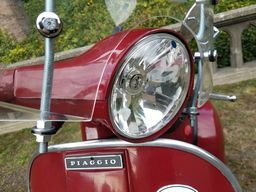 I don't know anything about your kit but a quick google search of "vespa jetting for 166" pulled up all kinds of sweet information, like this thread: Jetting and timing a Malossi 166 on a p125x. You got this man. 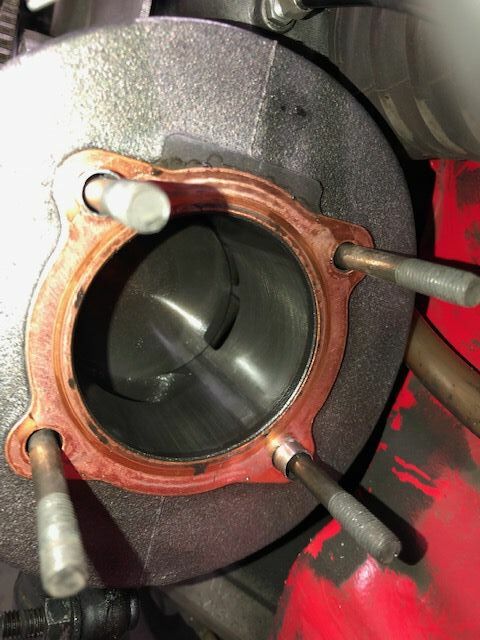 It'd be worth some time to read up (just a little) on break in procedures (heat cycles), and this forum has excellent threads on dialing in your carb. Good luck, and again, you got this! The 96 main jet that came with the 20/20 carb on a stock PX125 is too small for your Malossi 166 kit. You’ll keep seizing if you don’t upjet. The shop that installed the kit should’ve known this. Anyway, it isn't rocket science. Change the main jet, the slow jet should be ok as is. I dunno man, this shop does sound a bit weird. I do think if you pay for something, they owe some testing/backup. At the very least a chat about running in. And youre right about warming up. You can do this riding, but just ride easy for a few ks ie dont fang it from cold. 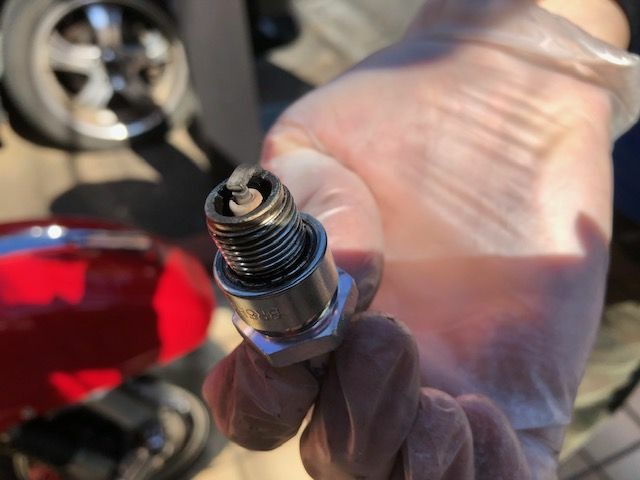 Your main jet at least did need changing and i wouldve thought your spark plug should be 2 or 3 grades cooler, maybe an 8. I know nothing about that kit, but it should come with a recommendation. And double yes re timing. If they didnt change the jet, and left the plug as well... anyway just get into it and learn. This forum has heaps of info and its fun to work out. Your scoot looks great! At the very least you should upjet immediately because right now you are harming your new kit more and more! Running rich is fine albeit worse on gas mileage, but you can always tune safely from that point. But right now you're riding it lean and making it worse. What shop was it? That vintage Vespa chain, I think it's called Honorary? Send an email to the club in your city and see if they will help you out. They might be excited to meet a Gaijin Vespa rider. I called to verify which jet they changed...and it made me quite pissed. They didnt change any 3. Main jet, throttle jet and the other (I forgot) is stock. This man told me nothing requires to be changed to ride around the city. Even for a newbie-engine like myself, I would have thought upjetting would be a bare minimum. Ok well that is definitely not ok! Pretty sure the instructions will say to upjet, and as you said a main jet was included, so why didn't they use it? Yes, I think you should find yourself another workshop... that advice about not changing jets was just plain wrong. Yes it will run like that but clearly not safely. The holes drilled in the air filter are there to allow greater airflow through the jets. More air - more fuel needed. The SIP Road exhaust promotes better flow through the entire system. More flow - more fuel needed. The Malossi kit has much bigger and better porting than stock - more fuel needed!! Even if it starts and runs now, don't ride it. Get the top end removed and clean up the mess. Hopefully no permanent damage has been done (ie gouged cylinder etc) and it's just a bit of smeared piston. I have had great results using hydrochloric acid to remove the melted aluminum, free the stuck rings and get going again. After you do, learn how to change jets. On a Vespa it's very easy... easier than changing a wheel or tyre! Thanks guys. I opened up the airbox and looked at the tiny 96 main jet and 20/20 carb, put everything back together. All to the help of some great advices here and hours on Youtube. qascooter: Thanks for your words of encouragement. I'm reading that Jetting/Timing thread like my bible these days. Claude: It is that Vespa chain shop across Tokyo, called Honorary. You would have think that if its such a big shop, you wouldnt go wrong. Now, I wonder how many customers' 2 stroke have they messed up. I clicked the Vespa club link you sent over, many links are not working properly. Maybe it is old? Ginch: It makes a lot of sense when you say, More air - more fuel needed. Not to mention SIP Road sports exhaust & the Malossi kit as well. I still don't know why they didn't think it is needed!?! I'm not riding it now till after I up-jet the main jet. It comes with two (105 & 115) I'm guessing I should start with the bigger # first then go down if the ride feels funny? Svint1: What's the slow jet? Is that the small one next to the main jet? I want to go back to the store and demand for money back for the kit. I'll let them keep the labor cost, minus the 4hrs push walk, and a bike that stalls a lot. But I feel like its going to be a waste of time as they don't know what they are doing. Another surprised I found today was when I opened up a few things, I noticed their mechanic missed putting back a few screws.... WTF!!! With the drilled filter, your main jet would need be be ~115 in a 20/20, but take that as a suggestion, not a recommendation. The other jets, in my experience, should be ok. The stock idle @ 45/140 might need to be richer. The Malossi kit comes with a 52/140, but many 'plug & play' people don't change it. Remember the 166 is an iron cylinder, not aluminum. Treat it with care until the different types of metal have made friends in a wide temperature range. I have to reiterate that if it's been seized a few times, however lightly, it really needs to be cleaned up after which time it'll probably be fine. Chances are the rings will be stuck at least a bit, and hold back performance. Also apparently the traces of aluminum on the cylinder wall will now melt at a lower temp than previously and make it much easier to seize. Even with correct jetting. 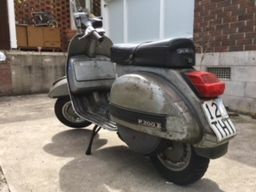 You don't need a Vespa mechanic to do it, just somebody competent who is happy to clean it up rather than replace stuff. Perhaps there's a moped community locally who can direct you to someone? That's fucked. 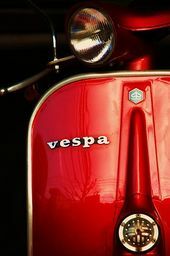 Tokyo's Vespa club is active on Facebook if you don't mind wallowing in the gutter with Facebook. Just to add to what's already been said, you don't run in an iron cylinder in a few hours - that pertains to nikasil-lined alloy. An iron cylinder needs a few hundred miles of low to mid-range revs, and avoiding constant speeds/revs. Driving around in city traffic is great, because you'll keep changing the gears, and stopping/starting. That's what you want before you start going full speed on the freeway. If yours is a Euro 3 bike, you must have had the catalyzed exhaust and crappy jetting that goes with it. Changing to a SIP road is going to require massive changes to the jetting, possibly the idle jet included (the thin one next to the main jet). I believe the main jet on catalyzed bikes was something like 2 points lower than a standard EFL of the same displacement; the idle jet was different as well. Just a follow up on my baby machine, 2 weeks ago, my mechanic friend suggested to change the idle jet (slow jet/pilot jet...all these new terms I learned) from the original 45/140 to 52/140. The bike has not stalled since. Which means the mechanics fxxxed up big time thinking nothing needs to be changed. Bike has a lot of torque, even with a passenger. However, it doesnt have the lightning top end. It takes time between 60-80km. Yestereday just for fun I switched the main jet to 115 along with the middle section that wrote BE-4? What is that mid section for? It ran like a slug and wont go over 60km. So I brought back the original mid section and just swap the tip from 96 to 105. Now it is running well. Smooth in all gears and from 40 to 60 on 3rd gear, 60-80 on 4th gear it pulls. Loving it. Can anyone tell me what the mid section is on the main jet? Hey Nicky - this was on a different post but the pic is priceless. Thanks to Chandlerman! For some reason, atomizers don't follow a linear pattern. A BE1 is slightly richer than a BE3. A BE4 is a fair amount richer. 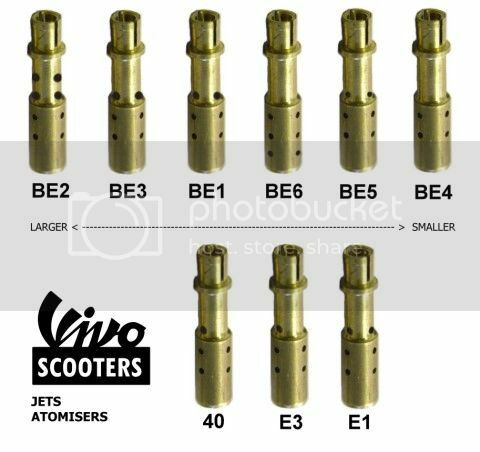 Check out the Let's talk about atomizers thread for more than you might have wanted to know. and recognize that the holes allow air into the mix, so more & bigger holes equals more air, then it will probably start to make more sense. Thanks qascooter! From a BE4 to a BE5, the bike ran like a slug. Guess big holes = too much air = too lean?